The world’s first Michelin-starred Peranakan restaurant, Candlenut takes a contemporary yet authentic approach to traditional Straits-Chinese cuisine. 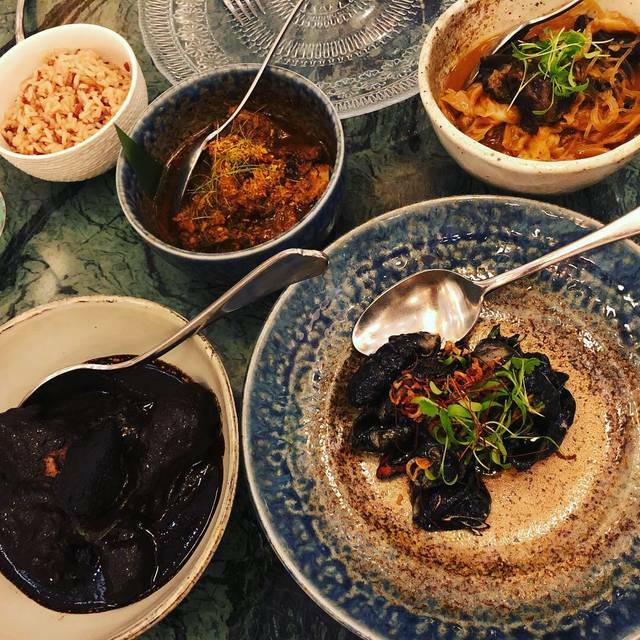 The restaurant serves up refined Peranakan cuisine that preserves the essence and complexities of traditional food, with astute twists that lift the often rich dishes to a different level. 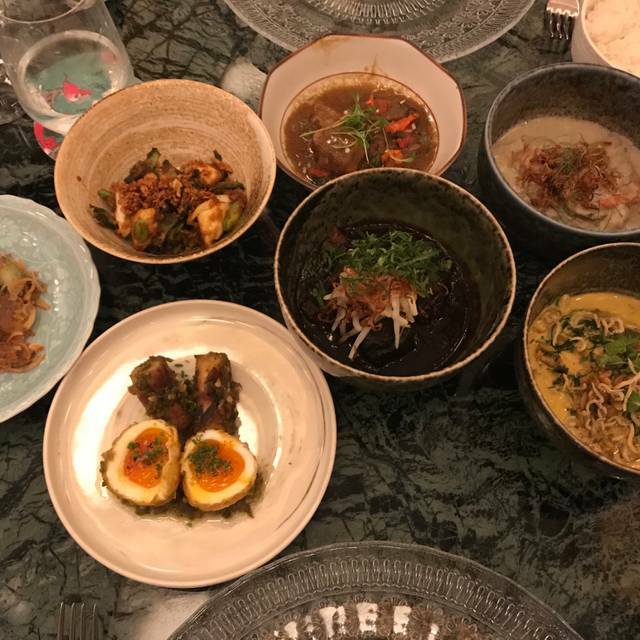 Helmed by chef Malcolm Lee, Candlenut is committed to continually create inspired and elevated Peranakan dishes using the freshest seasonal produce available. 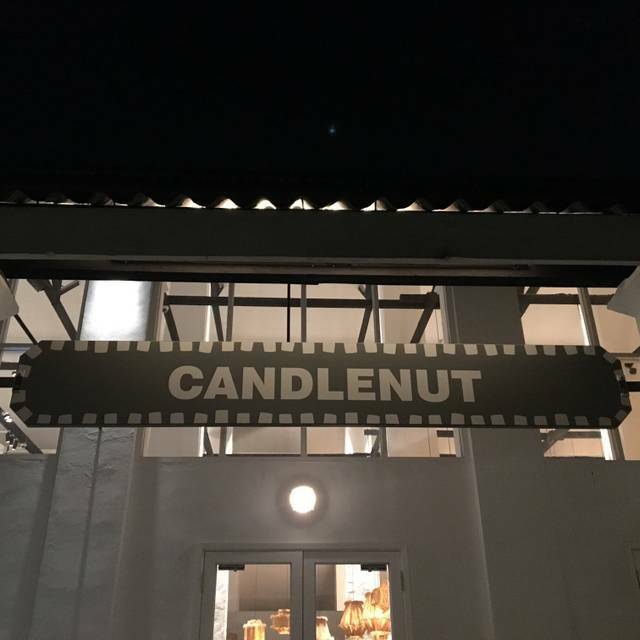 Candlenut provided a whole new peranakan experience. Every dish was with standard and nothing is bad tasting. Service was nothing short of great. Overall a very good experience! Food was fantastic! However we were rather shocked that we had to pay for the sambal belachan. Being a Peranakan, sambal belachan is a staple in any meal! Funny how I actually had to order it! It’s also a culture, sambal belachan is how we add spice to our food, interest to our food, a different flavour. Getting people to try it out is also important. Very disappointing. We had the tasting menu, except for one of us who was vegetarian and ordered ala carte. She was the only one who was satisfied with her food. Only a couple of items were even good, never mind interesting (part of the amuse bouche and the fried shrimp). The rest was boring at best, downright bland (the soup), or even bad (most of us didn't finish the coconut dessert). The service was bad, and felt more like chain restaurant than Michelin star level. Guess we know why they lost it. Another group of friends went the night before us, and had a similar experience. It really feels like they are coasting on their reputation at this point. Lovely update on Peranakan cuisine. Modern yet charming aesthetic with a consistent style and attention to detail, right down to the illustrated coasters. 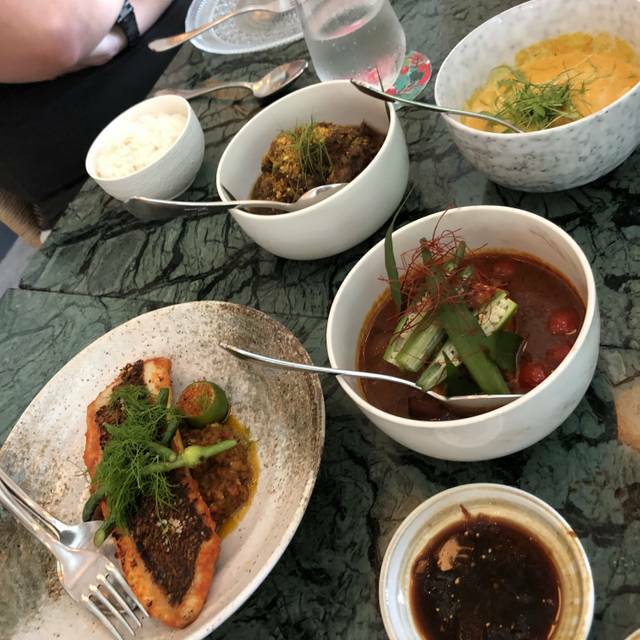 It was interesting to see familiar home-style dishes like rendang and satay elevated. Stand outs were the swimmer crab curry (flavourful yet delicate) and buah keluak ice cream (nutty, chocolatey and with a welcome hint of chilli). We had the lunch tasting menu, pretty much all the food was delicious, there was only one dish we didn’t really like. 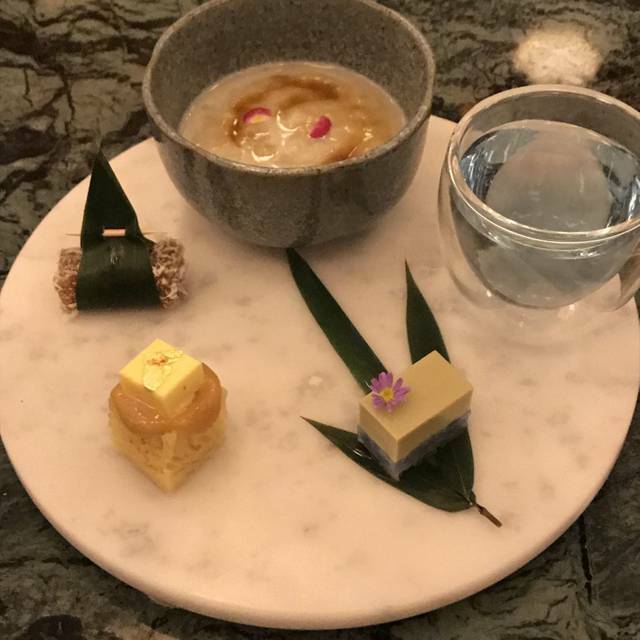 Dessert was certainly different, we made the mistake of ordering the Durian dessert and now understand why people choose not to eat durian, it was vile! The other dessert that we had was delicious though. Excellent service and good wine. We even got invited to meet the chefs in the kitchen after our meal. We wouldn’t hesitate to recommend it, but be careful on the dessert choice!! 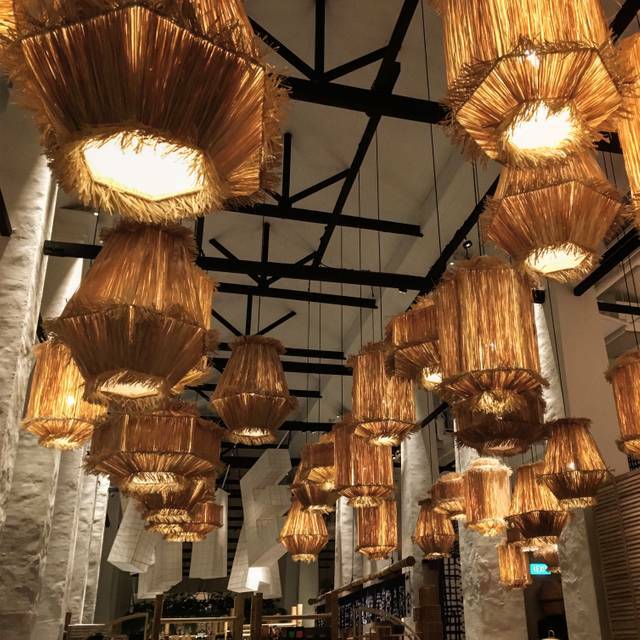 Set in a beautiful part of Singapore, this restaurant is adorably quaint yet elegant. Serving traditional Perankan cuisine (Malay and Chinese fusion) in a unique and delicious ensemble of dishes. 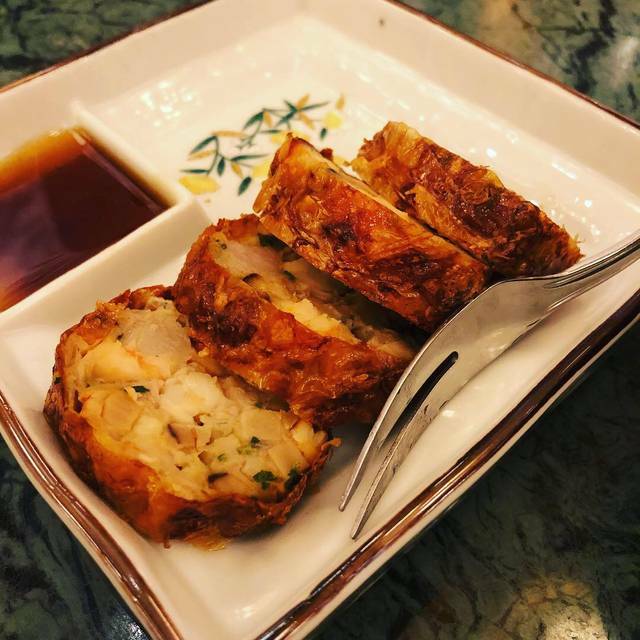 Definitely get the "Ah-ma-kase" or chefs sampling menu to appreciate the maximum amount of flavors and ingredients this cuisine has to offer. Our server was exceptionally helpful in explaining each dish and its origin. Ordered 4dishes and 1 dessert. Only 1 dish-blue swimmer crab met my expectation. The remaining dishes were okie only for the price we paid. Nice ambience and good service! The chef’s tasting menu was fantastic. The only item we were not fan of were the oysters. We preferred them fresh and briny. This experience would have been awesome if we were not seating next to a couple who were fighting with the British man saying the F word every sentence to his date who was crying. I mentioned the situation to our server and it interferes with our dining experience. It would have been great if we were offered another table. The main reason we went to Candlenut dinner because we are a fan of the COMO healthy lifestyle and cuisine. We have stayed at COMO Bali, Bhutan and Bangkok. The food was decent but it lacked a certain depth of flavour in most dishes. Service was fast and responsive, after all most dishes would've been stewed and pre-prepared earlier. Each dish was also well presented. However the biggest complaint on the table was about the air-conditioning. Four out of five persons were feeling cold. Best to bring a shawl if you're dining there. This was a nice experience - however, it could have been better in a less noisy place and more cozy atmosphere. We were looking forward to diner at Candlnut, and we’re not disappointed good food and service. We were warmly greeted and seated upon arrival. The restaurant is very spacious and airy with a very high ceiling. We selected the tasting menu so we wouldn’t have to make difficult decisions on our 1st visit. The price seemed reasonable in light of the number of different dishes offered. We were happy with the variety and amount offered. We were definitely full by the end of the meal. Our waiter explained each item when served. I was particularly surprise by the variety of sauces, most of which were delightful and not too spicy. 3 were variants with sambal and yet were tasty, each in its own way. We previously had eaten Peranakan food that had heavier, overwhelming sauces. That was not the case here. Following dessert we were offered a tour of the spacious kitchen. The various work areas were busy with preparing the dishes and adding decorative touches as well, such as flowers. The diners ranged from young and old couples to family groups and groups of 20-something friends celebrating a birthday. All-in-all, a great dining experience. When we return to Singapore, Candlenut will be high on our list for a special dinner out. Simply overpriced - the food quality, presentation and taste does not justify the menu not the a la carte price. Expectations were high for a Michelin star restaurant. There are other and better Nonya cuisines in Singapore - i.e. True Blue and Violet Oon, where the presentation and overall ambience and feel are far superior. Excellent and Ambience as always. A little pricey, especially for the vegetable dishes and desserts. Always been a fan but I feel it could be more accessible if prices or portions were reviewed. Great food with right balance of spice. Starters are particularly noteworthy. Several dishes in small portion to get an overview of the savory Peranakan cuisine. Building is beautiful but lacks a bit of intimacy for a Michelin star restaurant. Service very friendly but could use a little more professionalism on the wine service! Overall good experience with good value for money. Really worth it ! Special favour, nice environment! A good dining experience. Excellent food and service. Beef rendang. Pawns in turmeric and Kueh Pi Tee were delicious. Loved the blue pea flower infused gin. and Buah Keluak ice cream! The waiter was snobby and there was a hair in the octopus dish. Wonderfull food!! very professionals, helpfull and kindly waiters. 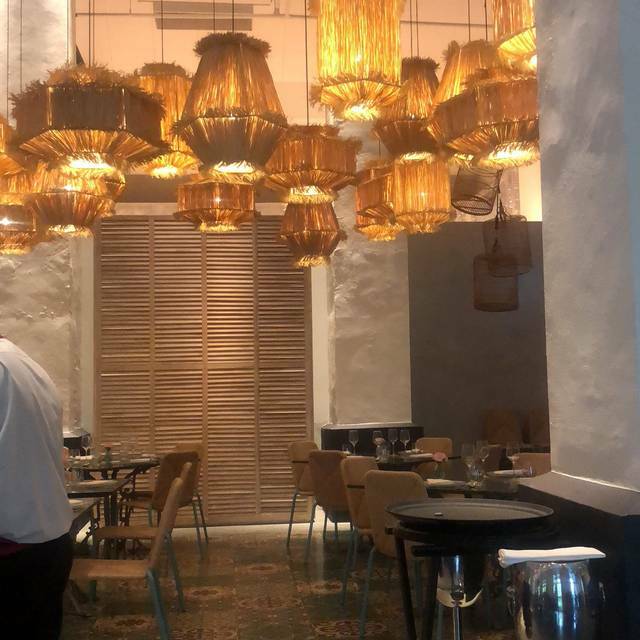 Fantastic place if you want to try a modern take on peranakan cuisine. Excellent food, combining unsual flavours and textures. Great vibe, beautiful interiors and top-notch service. This was an amazing restaurant. 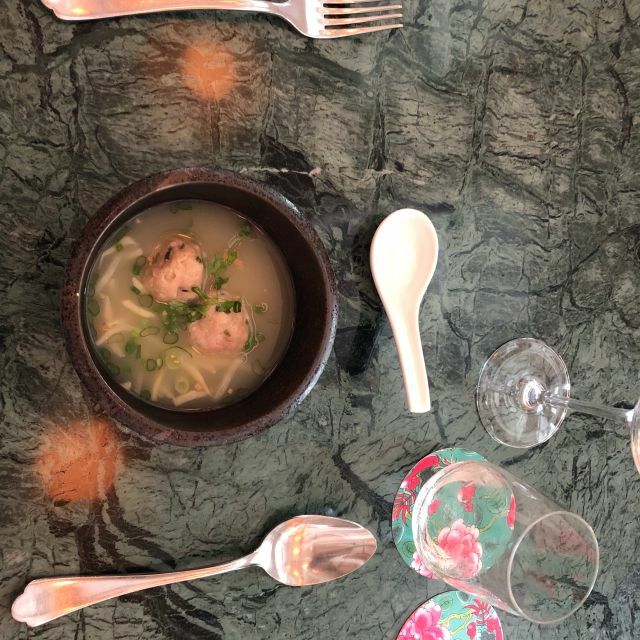 I loved being able to sample many small dishes to learn about the cuisine. The tea pairings I had were excellent. The wine list I felt was underdeveloped and could have benefited from my wines with a floral or fruity character to complement the cuisine. The white wines that I tasted by the glass were not drinkable. Although we had a reservation our table was not ready on time. The food is just normal not very fantastic as what the wedsite and some review said. Only the presentation is pretty. The soup when served is not hot but warm which is not acceptable. The prices are overly charged. Is not value for money at all. Very disappointed with the food. Flavors have become more muddled, lacking the original robustness of the spices and the appropriate heat levels. The salad portion was minuscle, which led to the citrus overwhelming the winged beans while the prawn languished in paper- thin slices. The swimmer crab curry was cloying in the sweetness of the coconut cream, which overpowered the delicate flavor of the crab. The ngor hiang was served lukewarm. The space that the restaurant occupies if beautifully done and part of a larger complex and is equally as nice. The service was very good however for a a Michelin star restaurant the food did not live up to the billing. Portions were small and not as flavourful as one would expect for this level of fine dining. It was very expensive and did not present the value that we were expecting. Perhaps the pre fixe menu would have been better. Love the place and great food. You can find the value for money food here. Ngoh Hiang - skin was not crisp and crunchy enough, the fillings were disproportionate size which made each bite slightly awkward because there would be more radish in one mouth and non of the other ingredients in the other. Fabulous meal. We had the taster menu and every dish offered a new and interesting combination of tastes and textures. The service was both efficient and friendly - not at all stuffy. At the end they gave my wife a surprise ice cream with candle and happy birthday piped onto plate. A perfect end to one of the best dining experiences we have had. Quaint and authentic food and presentation and ambience made for exquisite experience. Excellent food in a lovely setting. Prices, however, are high. Too experience for the value. Understand it’s a brand but too expensive. We just go transit through Singapore. We have 8 hours to connect next flight. So we have to visit this special Michelin restaurant.